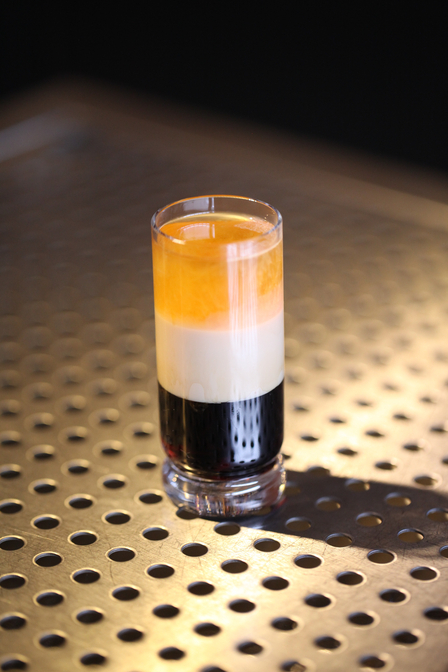 As the name suggests, layered drinks include layers of different ingredients, often with contrasting colours. 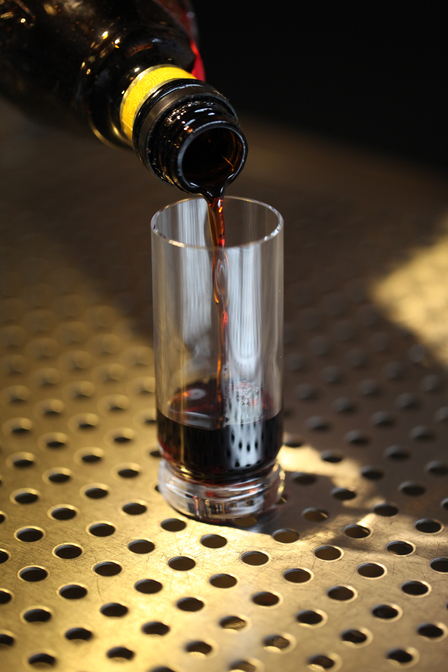 This effect is achieved by carefully pouring each ingredient into the glass so that it floats on its predecessor. The success of this technique is dependent on the density (specific gravity) of the liquids used. As a rule of thumb, the less alcohol and the more sugar an ingredient contains, the heavier it is. 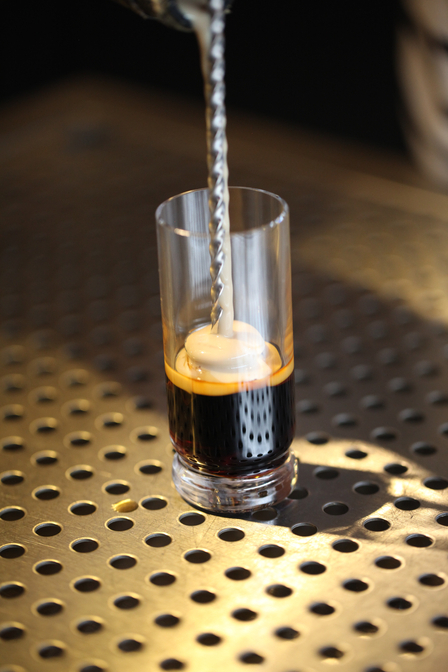 The heaviest ingredients should be poured first and the lightest last. Syrups are non-alcoholic and contain a lot of sugar so are usually the heaviest ingredient. Liqueurs, which are high in sugar and lower in alcohol than spirits, are generally the next heaviest ingredient. The exception to this rule is cream and cream liqueurs, which can float. One brand of a particular liqueur may be heavier or lighter than another. The relative temperatures of ingredients may also affect their ability to float or sink. 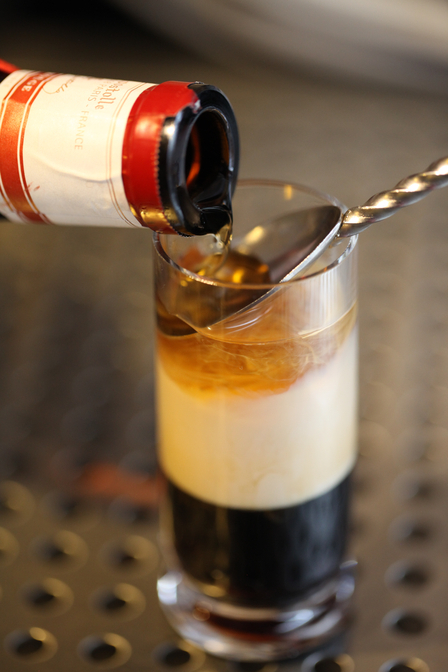 Hence, a degree of experimentation is inevitable when creating layered drinks. Layering can be achieved in one of two ways. The first involves pouring liquid down the spiral handle of a bar spoon, keeping the flat, disc-shaped end of the spoon over the surface of the drink. Alternatively you can hold the bowl end of a bar spoon (or a soup spoon) in contact with the side of the glass and over the surface of the drink and pour slowly over it. The term 'float' refers to layering the final ingredient of a cocktail on to its surface.